With the end of the year and holidays approaching, this week's music release list is thin. 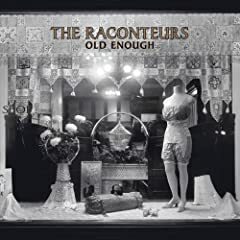 The only disc I am purchasing is the Raconteurs single, "Old Enough," for its b-side, a bluegrass version of "Top Yourself." If I can find Kate Rusby's import holiday album, Sweet Bellsat a decent price I will pick it up, but that's the extent of my weekly new music shopping. Can you recommend any other new releases this week?